Vectran™ is a synthetically manufactured high-tech fibre from a natural model. Like spider silk, Vectran™ is a liquid-crystalline polymer (LCP). Vectran™ is spun from the melted liquid polymer Vectra and processed further to a multi-strand thread. 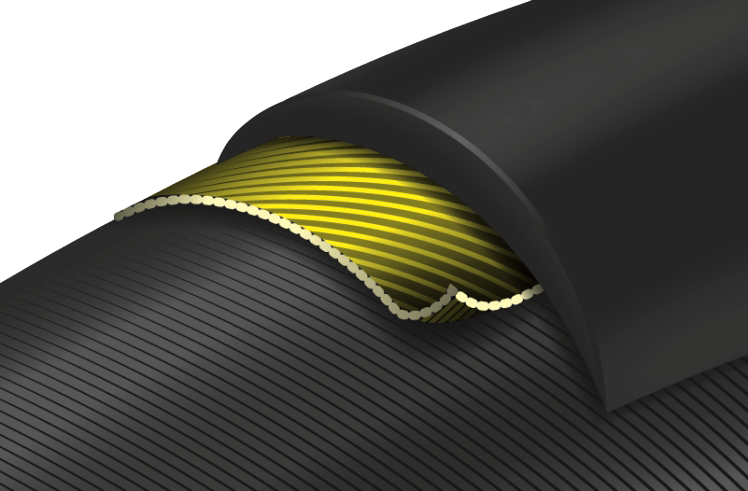 Spider silk like Vectran™ has an enormous tear resistance at a very low weight: Exactly the right properties to process into a premium Continental bicycle tire as a puncture protection insert. A Vectran™ Breaker is lighter, more flexible and protects more effectively against cuts than the comparable nylon breaker. Vectran™ Breaker does not adversely affect the rolling resistance.